On Wednesday I completed Level 2 of the 30 Day Shred. I took a single day off after day 5 because of stomach pains, but I got right back to work the day after and continued as day 6. I did a total of 11 days, as I did with Level 1, because it feels more like the first day of each level is spent learning and failing. I do my best, obviously, but I never feel as efficient on day 1 as I do on day 2. It was definitely tougher than Level 1, but that is to be expected. I had been able to increase the weights on Level 1 after about 5 days I think, but I wasn't able to on Level 2, and I did spend more time following the modified versions of a couple of the moves than in Level 1. The thing I found toughest was the cardio section of the 2nd circuit, there's a lot of jumping and I really struggled. Most of the rest of it was fine, though. This feels like a really disconnected post, like I'm just throwing words on the screen. I've gotten so used to typing stories and notes that there's either going to be a dragon popping up in this post, or it's going to remain extremely to the point and unemotional. I feel slimmer, my trousers are falling down, and I've dropped a belt loop, but I've not measured or weighed myself yet. If you want to weigh or measure yourself you have to wait a couple of days before doing so without exercising to give your body a chance to relax and recover properly, otherwise both the scales and tape measure will lie, and tell you you're bigger and heavier than you truly are. So keep that in mind. But I do feel smaller, and I certainly feel firmer. It's wonderful. However, I'm quite used to doing 30-40 minutes of exercise in the mornings, so regardless of just how good the shred is, I've not felt comfortable just doing those 20 minutes. To that effect, I've started doing other DVDs afterwards - just dance and cardio, but it adds the time up, keeps me moving, and I enjoy it more than the shred. I've been focused on my 10 Minute Solutions Latin Dance DVD - it's my absolute favourite, it's SO much fun, has amazing music, and it's hard even now. I adore it. The downside is that there's so much hip wiggling that I get a killer stitch on my right side without fail so I can't do more than one section, at which point I switch to another DVD. So while the shred is my priority, I have been trying to scale it up, and since I've done that I've felt even better than before. 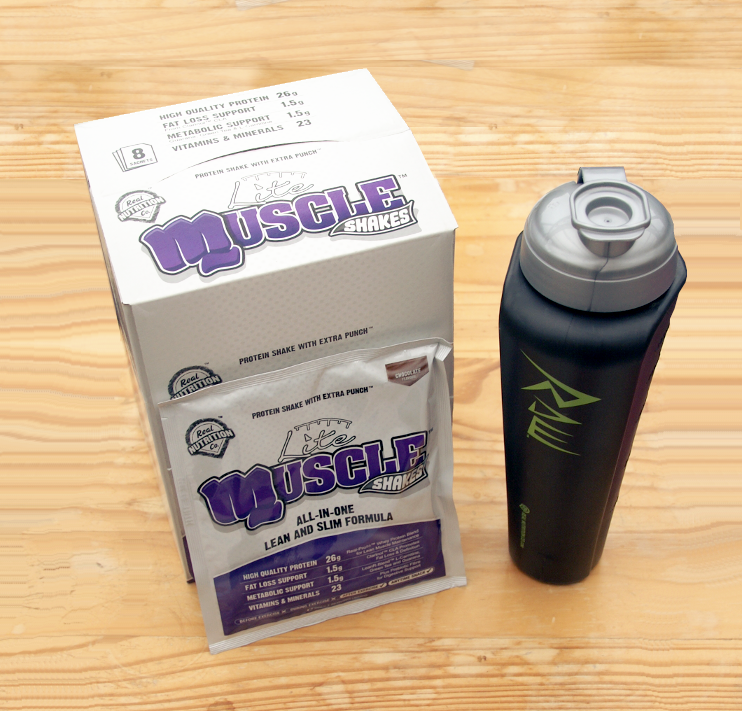 I've also stuck with my Real Nutrition Co Muscles Shakes Lite Monday to Friday after workouts. I don't know if they're working, but I'm seeing so much progress that I refuse to change anything just in case.